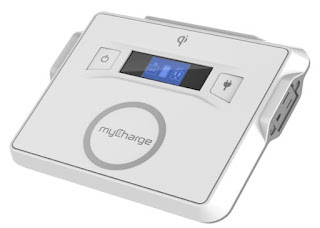 myCharge, has introduced a range of external battery packs, purposefully for charging of Macs and Apple iOS devices, mycharge made a brand new 20,000 mAh myCharge All Powerful battery pack, to comfortably charge a wide range of Apple products. The model isn’t as portable as the average battery pack, but it has various features like a USB-A port, a USB-C port, and an AC outlet, which means it can power just about anything. It even comes equipped with Qi-based wireless charging to charge the iPhone X, 8, and iPhone 8 Plus cord-free. Adventure Max (10,050 mAh), Adventure Ultra (13,400 mAh), Adventure Xtreme (20,000 mAh), and the Adventure Jump Start (6,600 mAh), which can power up a dead vehicle battery. The All Powerful will be available available for purchase starting in April 2018, and it will be priced at $199.99. The other Adventure series battery packs are available now at prices ranging from $30 to $10.